Offering you a complete choice of products which include ms fittings, pneumatics fittings, ss fittings, brass fittings and hydraulic fittings. 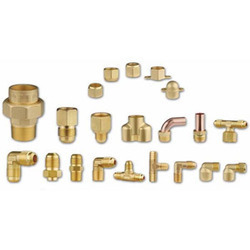 Keeping in mind ever-evolving requirements of our respected clients, we are offering a premium quality array of MS Fittings. We are the prominent manufacturer, trader, distributor and supplier of a supreme quality range of Pneumatics Fittings. 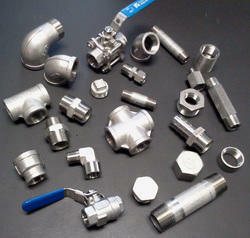 These hydraulics fittings are processed from ultimate grade components which are taken from the vendors. 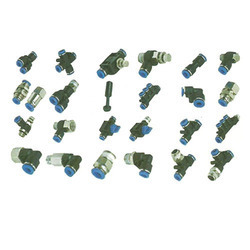 These hydraulics fittings are precisely examined on number of quality parameters. 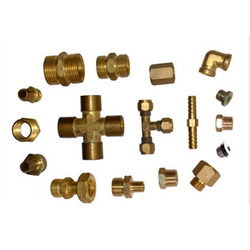 The offered hydraulics fittings are presented in number of custom designs according to the customer’s requirements without compromising with the quality. Size 2", 3/4", 1/2", 1", 3"
With our years of experience & in depth knowledge in this field, we are engaged in offering a quality-assured array of SS Fittings. 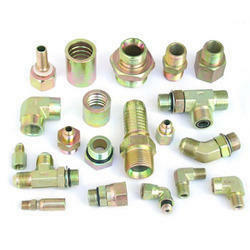 With a firm commitment to quality, our organization is involved in offering a wide ambit of Brass Fittings. Being one of the renowned firms in the industry, we are decidedly involved in providing a premium quality array of Hydraulic Fittings.